You can install PHP on a Windows machine in multiple ways. It all depends on your needs/requirements. In most cases though, you might just be interested to install just PHP, to use it in different development environments. 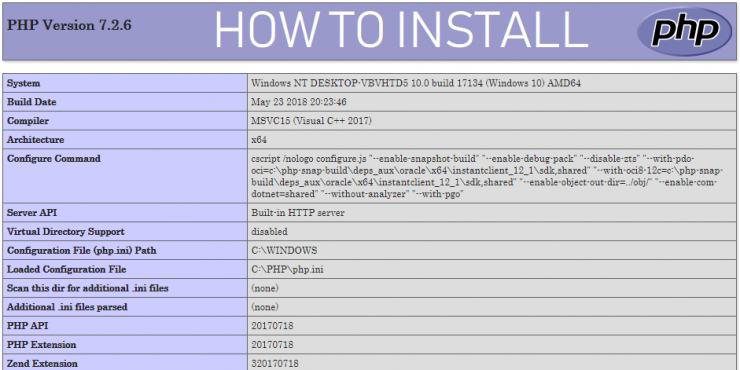 Below I will show you step by step what you have to do to install PHP 7.2 on a Windows machine. First, go and download PHP 7.2 .zip file from here. Choose the version you need for your machine, x64 or x86. I usually install the Non Thread Safe version. Read this for more info about What is thread safe or non-thread safe in PHP? 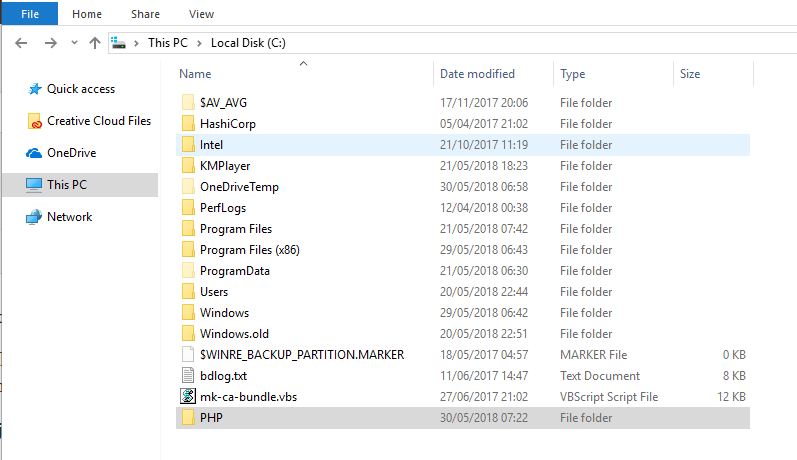 Choose where you want to install PHP and make a new folder called PHP. I usually install it in /C. Export the php zip contents into the /PHP folder you have just made. Go into the /PHP folder, make a copy of the php.ini-development file (literally, copy and past that file again into the folder). Rename the file you just copied to php.ini. 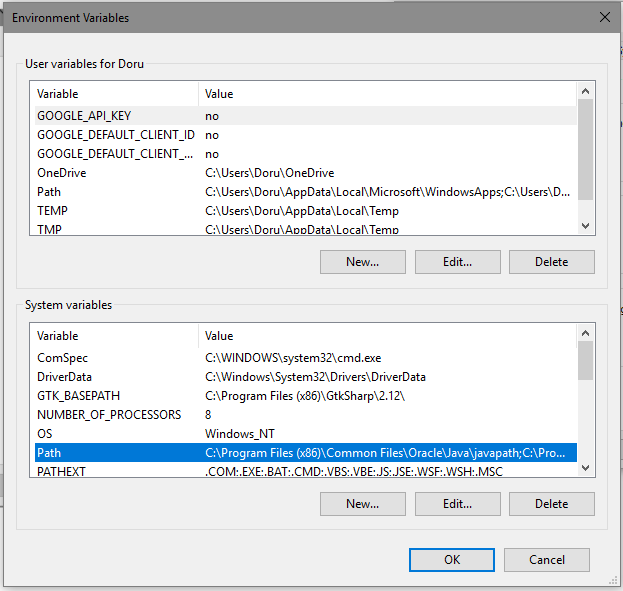 Open Environment Variables (Windows Search for ‘env’) and open Edit the system environment variables. 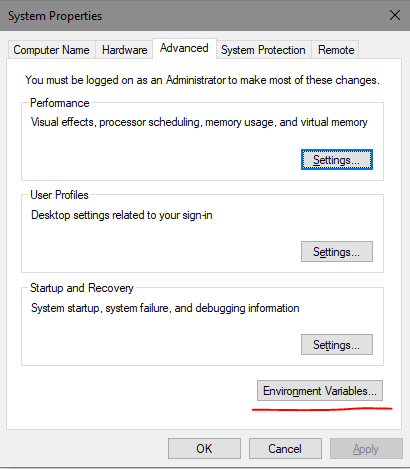 Click Environment Variables. Add two new entries in that variables list. 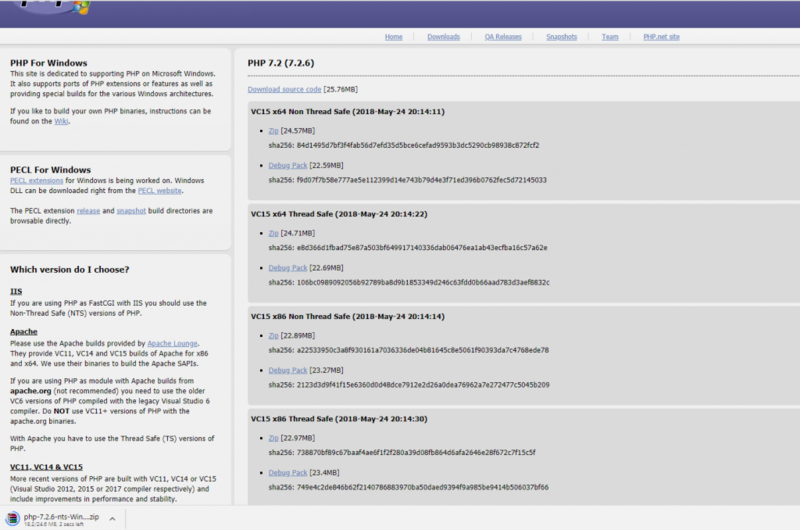 Click New and add the location of your /PHP folder (C:\PHP) in my case. Next, add the location of your extension folder (C:\PHP\ext) in my case. Click OK. 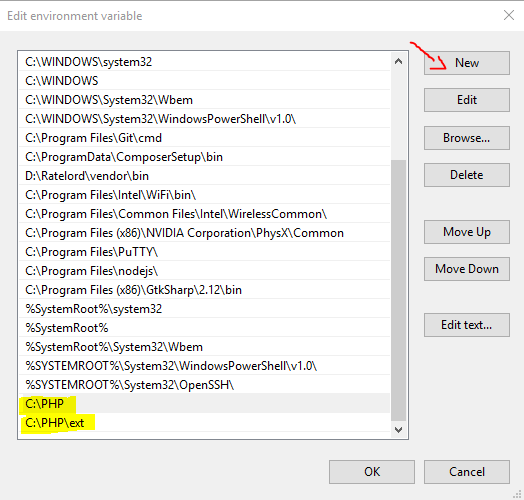 Under System Variables click New and add PHPRC for the name and C:\PHP for the value of this new system variable. Click OK and then OK again. The next thing you want to do is to reboot/restart your computer. 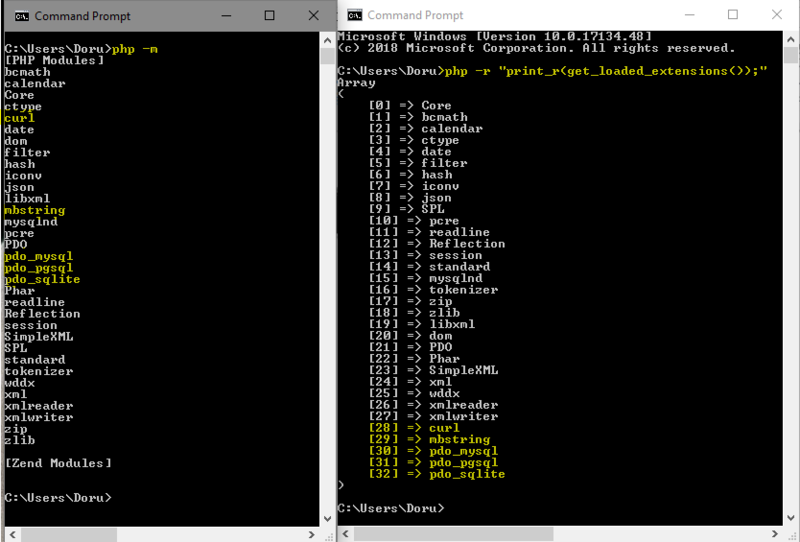 Open cmd by windows searching for cmd. This will open your terminal. Run php -v and you should see a similar output, depending on the version of PHP you have installed. You don’t need all the extensions to be enabled. Every developer will use different extensions, based on what they develop. Here is a good resource when it comes PHP extensions. 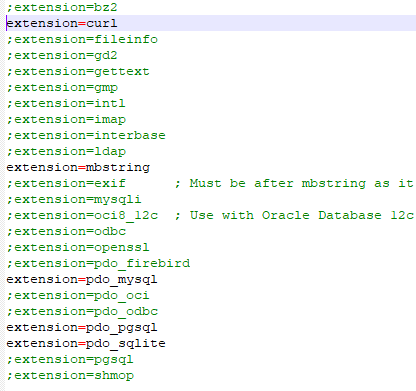 Depending on what database service you want to use, enable pdo_sqlite; pdo_mysql or pdo_pgsql. Enabling curl and mbstring is also something I usually do. NOTE**: Make sure you enable openssl as well. 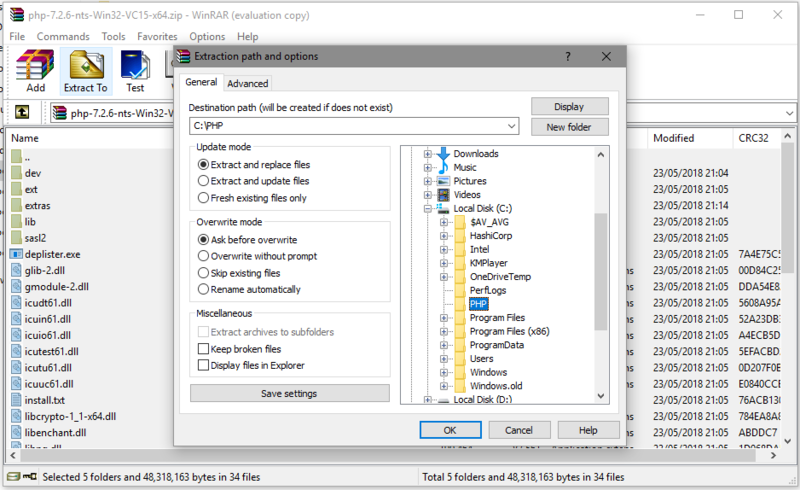 Uncomment the extensions you wish to enable and save the file. 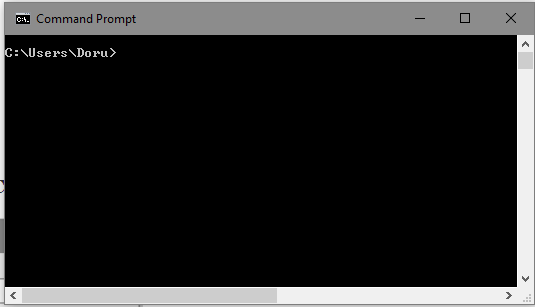 In your terminal (cmd) run the following command. That will show you what modules/extensions you have enabled and loaded. Open terminal (cmd) and cd (go to) the folder where you want to start the localhost. This is usually project folder or where your index.php file is located. More info from the documentation here. As you have probably figured out, installing PHP on Windows is not as hard as it may seem. Just make sure you don’t miss a step along the way and everything should work perfectly fine by the end of this tutorial. If you face any problems or errors, just comment below your error code and I’ll help you through this process. Support this blog by subscribing to the newsletter. There will be no spam, just a few emails from time to time. Yes, I want to support this blog for more awesome content. PHP is not installed then. Start the process over and make sure you follow each step.let me know if you manage to solve it or if you need more help. php -v works for me so it looks like I’ve installed PHP correctly. However I’m not sure of the next step (I’m a complete beginner by the way). I’ve created an index.php file but am not sure where to save it or how to execute it. The way I’m returning the page to the browser is via out.println to build HTML. (which is where it should be) and is simply passed back to the browser as-is. How do I actually get the php code to be processed? 1. Create a php file inside a folder somewhere. This will start a localhost on port 8000. Open http://localhost:8000/ in your browser and you should see the php info. No need to use tomcat for this. Is this making sense and addressing your issue? Work perfectly on my setup. You have missed a step after clicking “edit” on “path” in environmental settings. Clicking edit prompts the user to edit the path. Creating a new path is not possible at that point. Whatever you are trying to advise, it falls apart at that error.